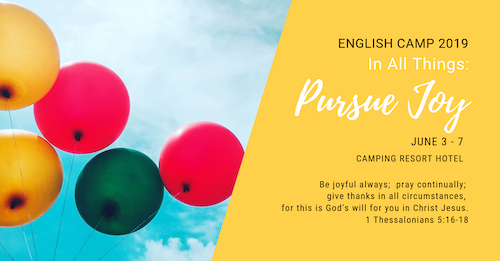 Panama English Camp is a gospel youth camp that also focuses on improving conversational English. The chance to improve one’s language skills is the draw for many non-Christian parents and youths. Share the gospel and care for the spiritual needs of mainly Chinese youths in Panama, while using the medium of the English language. Our hope is to reach out to the families through the youths. Provide a warm and encouraging atmosphere to help youths (ages 12-22) learn about God's love, and improve their conversational and written English through a variety of activities. Challenge churches to respond by sending suitable short term missionaries (STM) to care for the youths and exemplify Christ in their lives. Help provide an English-speaking environment for the youths to practice their English language skills as well as encourage them spiritually. Help plan and participate in camp activities such as English Classes, skits, large group games, and crafts. STMs will also assist in a youth outreach event at a local church to help connect the youths to the local churches. The camp will be at the Hotel Camping Resort which is located a little outside of Panama City in Chilibre. Christian & Missionary Alliance Churches (Panama, Canada, & US), Misión Cristiana China de Colon, & Iglesía Evangelíca China.